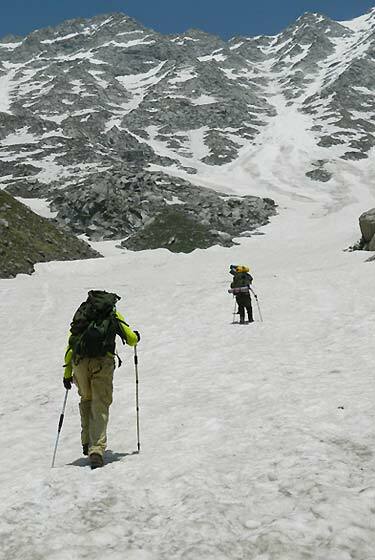 This trek leads to the high glaciated lake is not to be confused with the lake of the moon and leads out of the tiny village of Khunal a little distance away from Manali. SEASON June - July & August & Sept. This trel that leads to the high glaciated lake is not to be confused with the lake of the moon.This trek leads out of the tiny village of khunal a little distance away from manali and climbs stendily evergreen forests and meadows, alongside numerous streams.An easy trek with some of the most beautiful walks in manali region affording magnificent mountainscape. Six Kilometer moterable road leads to village Jagatsukh and after which the trail winds up words alongside the Bahngan Nullah from Khunal which is the first day camp, the manali valleyappears far below and the east lies the mighty mountain-Deo –Tiba.Along, the way to Khunal green forest with an amazing variety of vegetation dot the valley.O/N Camp at Khunal. 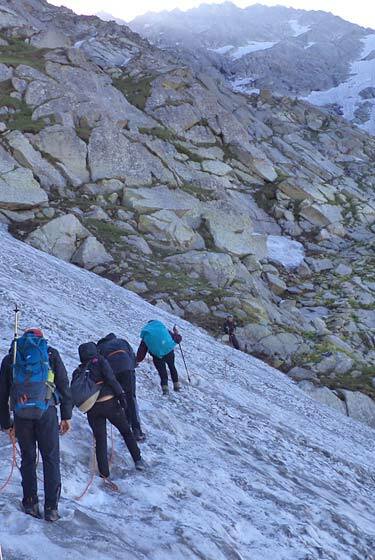 The six kilometer long trail goes along an alpine plateau and is almost a gradual incline.All around the trail lie excellent rock climbing hills.O/N Camp at Chikka. Today the trail continues uphill for 5 KM and the sudden appearance of Deo Tiba is breathtaking. Seri was once a glaciated lake, But is now a meadow carpeted with an astounding variety of herbs and alpine flowers.Camp in this fairyland beneath a clear sky twinking with a million stars.O/N Camp at Seri. You have have two option, both worth the shorts climbs, involves. The flora enthusiast will have a wonderful time trying to Identify the hundreds of flowers growing everywhere, and the tiny lake provides some excellent view, of Deo Tiba and other peaks of Manali and Spiti ranges.Camp at either places. Leaving this wonderland behind the trail descends downwords back to the forest that lie above Manali. Camp is at the village of Bhanara. There is an ancient temples of Bhanara while Arjun Gufa is the place where Arhuna and did penance.After B/Fast we drive back to Manali. 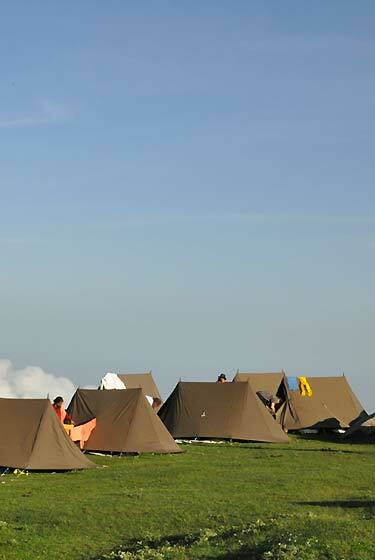 Camping Include Dome Shape 3 Men Tents / Sleeping Bags / Sleeping Mattress / Dry Pitch Toilet Tents etc..
Cook , Kitchen Helper and Porters. Professional guide with English speaking. Travel between Delhi and Manali Manali-Delhi (can be arranged by us on request).We charge extra for all transportation. For travel to Mcleod ganj and back one can choose between air & road. 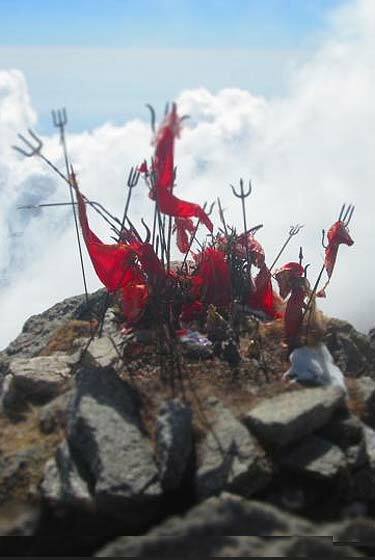 For air travel, the closest airport is the Kullu KUU, also known as Bhuntar Airport, and is well connected to Delhi and other parts of the country by Air India. 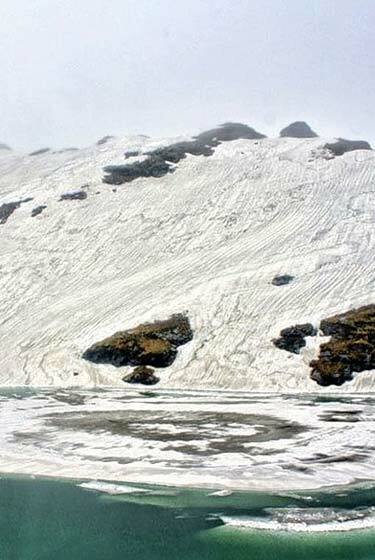 There is frequent Public Transport buses including Volvos available from Delhi to Manali that cost about Rs. 1000 - 1200 per person. These buses depart from ISBT and Kashmiri Gate every 30 mins. or so and take about 14 hrs to cover the distance. The same is also applicable on the return journey. A private vehicle could also be arranged for if you require the same. 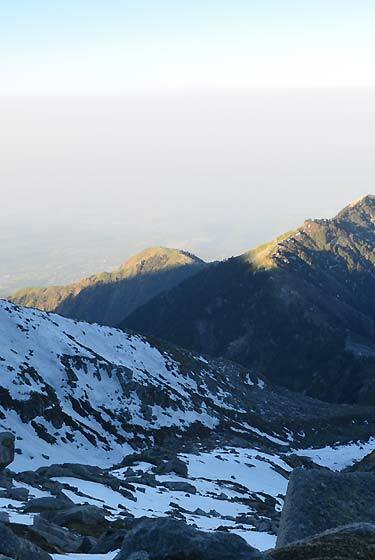 Summer in Manali extends from March to June when the temperature variation is recorded to be ranging between 15°c and 20°c. Mercury sometimes reaches up to 25°c but never goes beyond that. During winters the temperature can drop to -5° and the maximum temperature hardly goes up to 15°c.